Two reliefs which flank the entrance gate to the county fairgrounds. They are stylized using concave and convex forms in high relief and textures in contrast to polished surfaces. 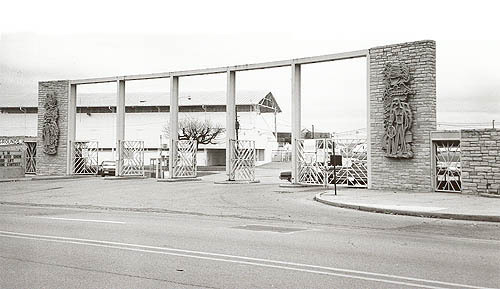 : “New Gateways & Future Fairs,” Ohio Outdoor Sculpture Inventory, accessed April 22, 2019, http://oosi.sculpturecenter.org/items/show/530.